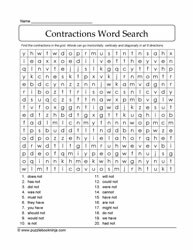 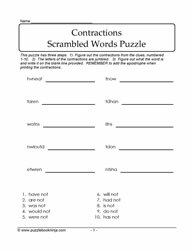 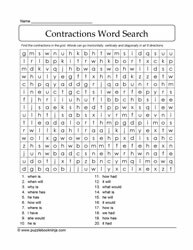 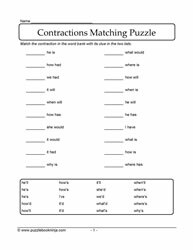 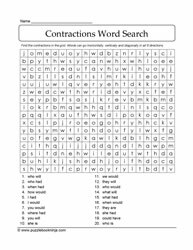 Here are language puzzles about contractions. Scrambled letters, jumbled letters, wordsearches, matching puzzles. Download, print and solve these puzzles as an end of year classroom review, homeschooling review and family fun activity. 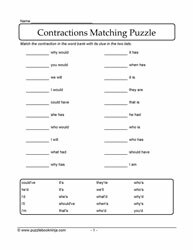 Suitable for formative assessment, too! 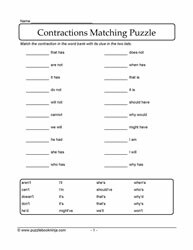 It gives instructors information about what students need moving forward in their language learning.